To all my Customers: I´m currently salaried at BMC Software as Project Manager Global Services - but i´m still doing this freelance business (netinhabitant*net) in a shortend way so far. so in any case: i´m available foryou. 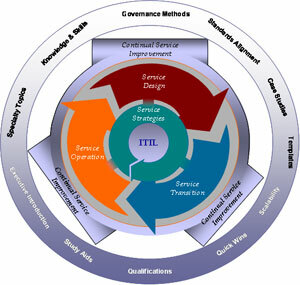 From 1st january 2007 APMG will offer ITIL accreditation and qualification services. EXIN and ISEB have exisiting licences from OGC that expire in mid 2007. official V2 ITIL exams are available until then. Existing qualifications and certificates will remain valid and intact.